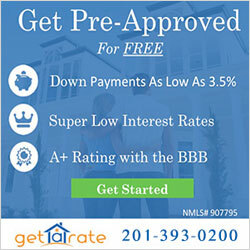 FHA offers a number of home ownership loans that facilitate the purchase or refinancing of homes. FHA loans are popular among homebuyers because of the relatively low down payment requirement, which can be as low as 3.5% of your appraised value. Individuals looking to buy or refinance single unit condominiums may obtain FHA insured mortgages with loans up to 30-year terms. Condominiums re defined as one-family unit in a project coupled with an undivided interest in the common areas and facilities which serve the project. The condominium project must be in full compliance with applicable state law requirements of the jurisdiction in which the condominium project is located and currently in good standing with the state. It also must be primarily residential, contain at least two dwelling units, and can be detached, semi-detached, a row house, a walk-up, mid-rise, high-rise, including those with or without an elevator, or manufactured housing. FHAloansearch.com is free to use and is a marketing lead generator and comparison service that works to educate and empower consumers. It is made possible in part by sponsors and partners. This site may be compensated when a user clicks an “apply” or “submit” button, consents to share any personal information, and/or clicks to other links on the website. This site is directed at, and made available to adults over the age of 18 in the continental United States, Alaska, and Hawaii only. Copyright © 2017. Stonegate Interactive. All Rights Reserved.